Bossman just left so now it's time to get back to the rat race...heh. Without further ado here's this week's list of dvd/blu-ray releases. A handful of comedies and and an incredible upgrade to a fine film that is a favorite of Funkmaster himself. Geeks on a trip to comic con run across an alien. 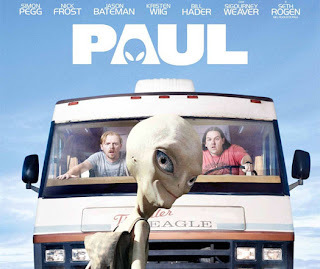 Written by Nick Frost and Simon Pegg who also star as said nerds and directed by Greg Mottola of Superbad and Adventureland fame. Sounds like a winner to me, but Manny has seen it and was less than enthused. That combination of talent and a premise so geektastic is something I can't ignore. I'm looking forward to this, hoping Manny was off on his criticism. I'll let you know soon. Another geeky comedy hybrid. This time taking a stab at the super hero genre. 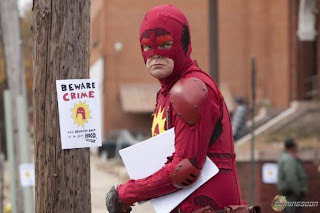 Rainn Wilson is a loser who takes it upon himself to don a red suit and a wrench to fight crime and save his ex wife. I have doubts that this will actually be good. But if you have seen James Gunn's Slither you know the gentleman has a lot of fun with his films. I imagine this will be a twisted witty over the top take on the super hero flick. Besides.....Rainn Wilson as a superhero....can you imagine Dwight going all vigilante...cause I can. 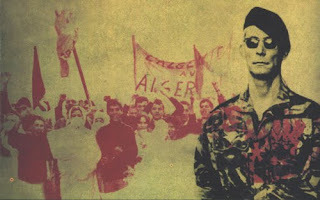 A breathtaking film on the Algierian fight for independence. A great example of cinema verite the film takes a hard look at the violence of modern warfare as everything is destroyed. Criterion released an amazing set a few years back, but now criterion has upgraded this set to blu-ray. I for one never picked up the original set, so I cannot wait to get this on blu. The film is one of Manny's favorites and he's right. The film is brilliant and far and away the best release this week, if you manage to find it pick it up...don't even bother renting it. 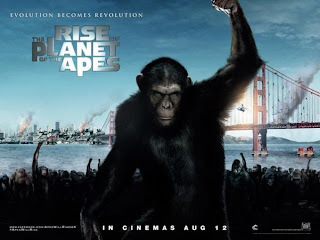 One last thought - ok....soooo apparently Rise of the Planet of the Apes is good...like really good. I gotta say I didn't see that coming. That's cool though I can appreciate that and am always open to smart science fiction. BUT....there is TONS of hype around Serkis' performance as Caesar including MULTIPLE sources claiming he's a sure fire oscar contender for Best Supporting Actor. I like Serkis, but really?...I'll wait to see this before I make my own judgement.....but really?